Definitely excited to show you the latest from F4 today. Inspired by the always lovable Mickey and crew (which my boys are currently obsessed with!) It will be available very soon in their Etsy shop. Like them on Facebook the hear and see the latest from them! This one is called Mr. Mouse. 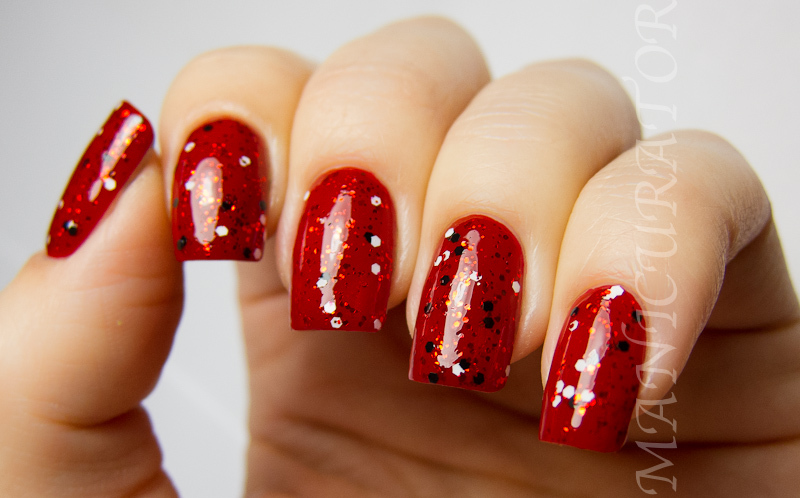 It's super cool with the small black glitter, medium white and then the big reds. Makes it really simple, but interesting! I put it over 2 coats of OPI Don't Touch My Tutu because I didn't want anything to compete with this polish. Mrs. 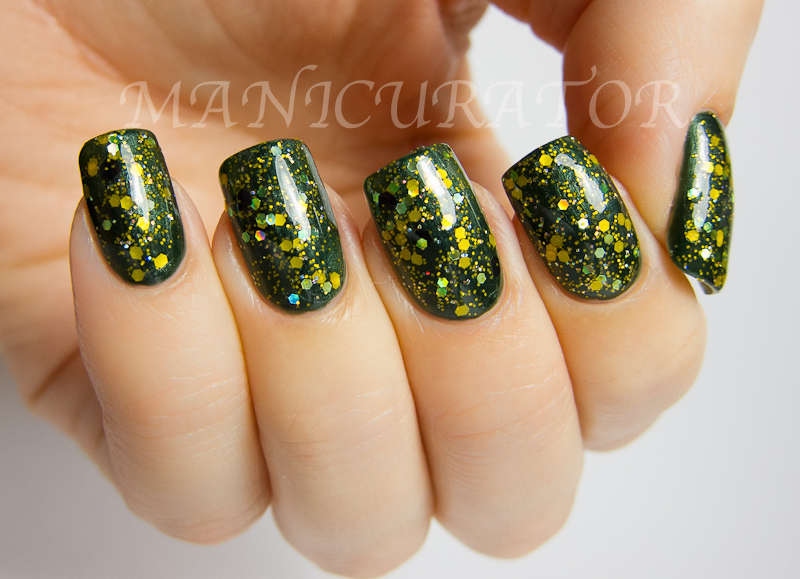 Mouse over two coats of Zoya Rehka. Again red, white and black glitter but she sparkles :) Next time I'd like to try it over a great neutral color to see the red pop more. I sure like it red on red though. Say hello to Goof-E. I just asked my son (he's 3) if goofy was a dog. He said noooo..so I asked him what is goofy? He said "goofy is goofy". Ah 3 yr old logic. 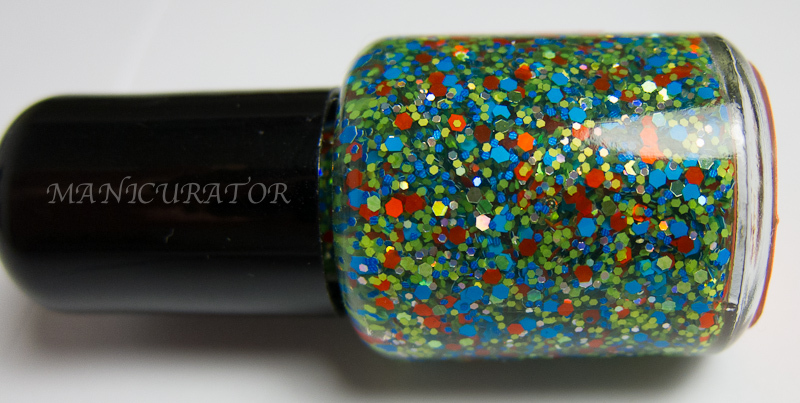 So here he is :) A colorful mix, just like goofy, shown over 2 coats of Zoya Tracie. You know this one has to be Plut-O!! 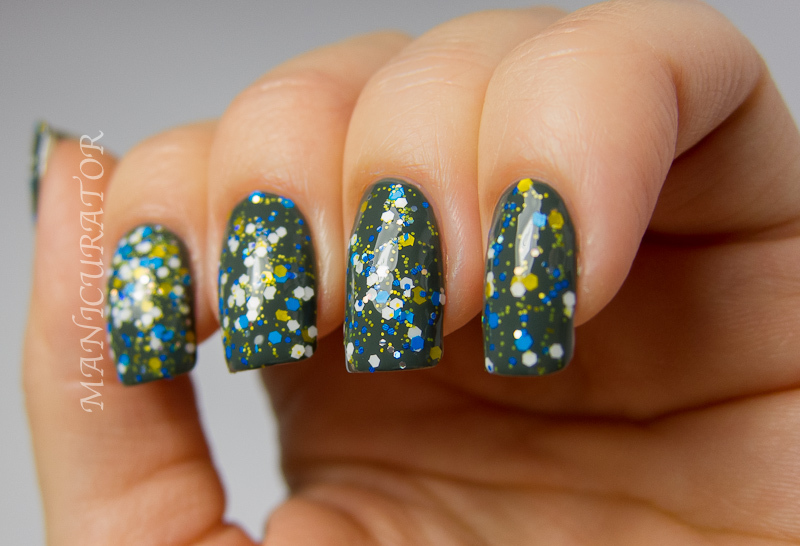 A great fun polish!! Makes me feel happy with all that sunny yellow glitters! 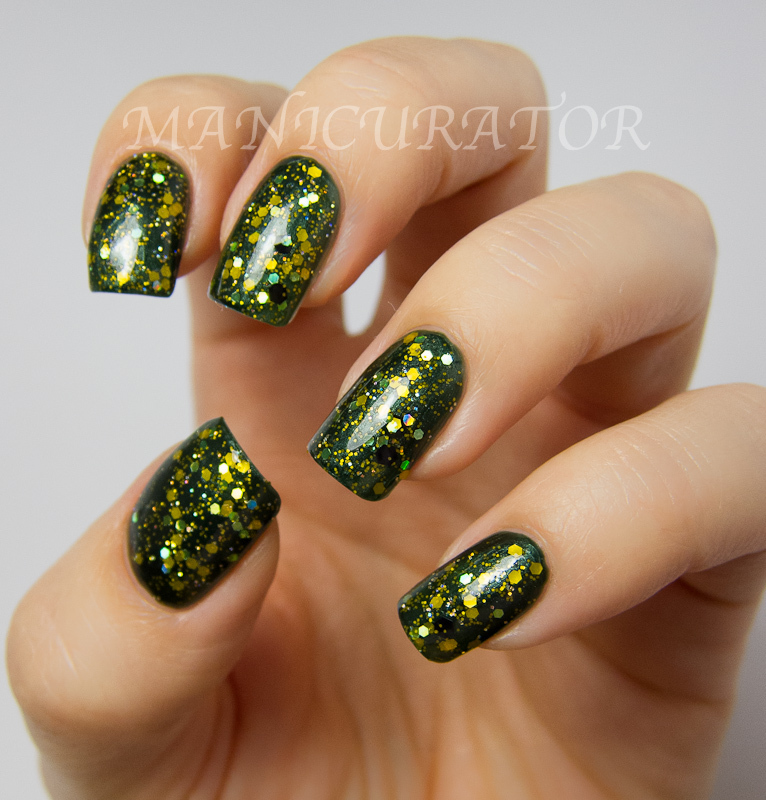 It's shown over 2 coats of Zoya Ray. The lovely Mrs. Duck. Filled with matte micro and small pink, white, and purple glitters. Yellow and lavender satin (I think) too. 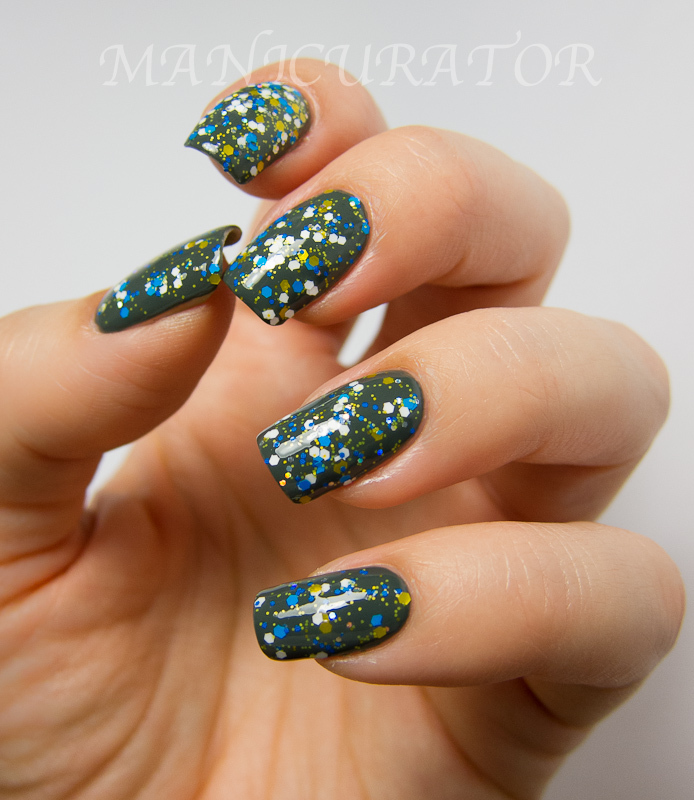 Great combination, shown over 2 coats of Zoya Suri. *Disclosure - products in this post were sent for my honest opinion and review. 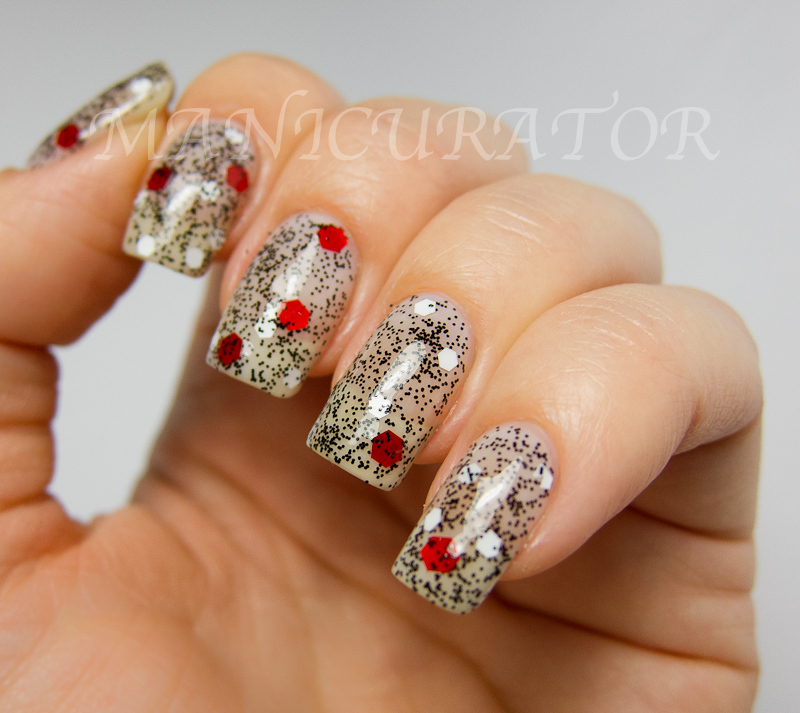 I never liked the Mickey Mouse crew but these polishes are beautiful. Mrs. Duck and Mr. Duck are my favorites! They are all gorgeous but Mrs. Mouse and Plut-O are my favorite! The yellow glitter is awesome! Maybe I'm going through a mid-life crisis! LOL. But I like Pluto the best! All are beautiful. And perfect swatches! They are all so great! These are all beautiful. Amazing polishes you chose as base too. Oh my goodness, these are soooo cute!! Mr. and Mrs. Duck and Plut-O are my favorites for sure! OMG Mrs. 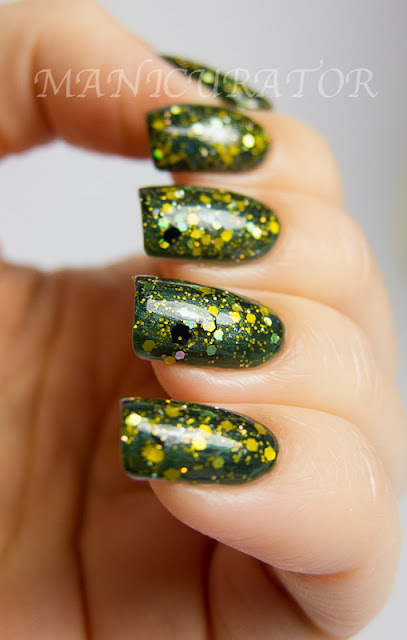 Duck might be the prettiest polish I've ever seen! I'm loving how Mrs. Mouse truly shines over Rehka! Amazing swatches as always! I'm going with Mrs. Duck & Pluto as my faves! Love this collection...so much fun!! Omg! I'm such a Mickey fan!! I love all of these!! Great swatches, as usual. Mrs. Mouse makes Rekha look like a jelly!! Nice! !